Ulta 21 days of beauty event 2018 is available now. Plus, there are six new offers you shouldn’t miss out at Amazon, Urban Outfitter, The Bay, Clarins, Skinstore, Bluemercury and Walgreens. Ulta Beauty Spring event: Ulta 21 Days of Beauty Event is available now from 3/18 – 4/7. (NEW) First time ever, they are curating ‘buy 3 get 1 free’ prestige beauty! Nordstrom Live Chat if you want the Ulta or Macy’s prices! (NEW) Ulta 21 days of beauty hot buys. See all Ulta gift with purchase offers, Ulta coupon, Ulta birthday gift (changes each quarter). Free shipping on any $49 purchase. (NEW) Use code 642971 to get $5 off $15 purchase (or printable version here), ends 4/7. Visit Ulta Buy More Save More list page. Ulta Best Seller Sale Page. Urban Outfitters (NEW) 17% off everything – no promo code needed including all beauty like Anastasia soft glam palette and more. Walgreens (NEW)(HOT) FREE Sample Bag (worth $30) with Beauty & Personal Care Purchase of $20 or more for Beauty Enthusiast member! Walgreens online deals. Free in-store pick up! Amazon (NEW) They run spring into reading event, get deep discount on books and magazine sub in the Today’s Deals. The Bay Canada (Hudson’s Bay) (NEW) Get your free, exclusive six-piece gift with the purchase of any Elizabeth Arden PREVAGE; products. Excludes PREVAGE; Anti-Aging Treatment Boosting Cleanser. (NEW) Use code SPRING to get $10 off $75 beauty purchase. (1d) (Through 3/18) President’s Event – Extra 10% off cosmetics, fragrances and select home items. Use code: VIP. (2d) Choose your seven-piece gift with any $35+ Clinique purchase. A $95 value. Clarins (NEW) Free 7-piece Gift of Clarins’ most iconic products (a $117 value) with any $100+ purchase. (HOT) They are offering up Clarins Celbrantion box and Clarins Selfie box for $38! Choose 3 free deluxe samples at checkout and free shipping on any $75 purchase. 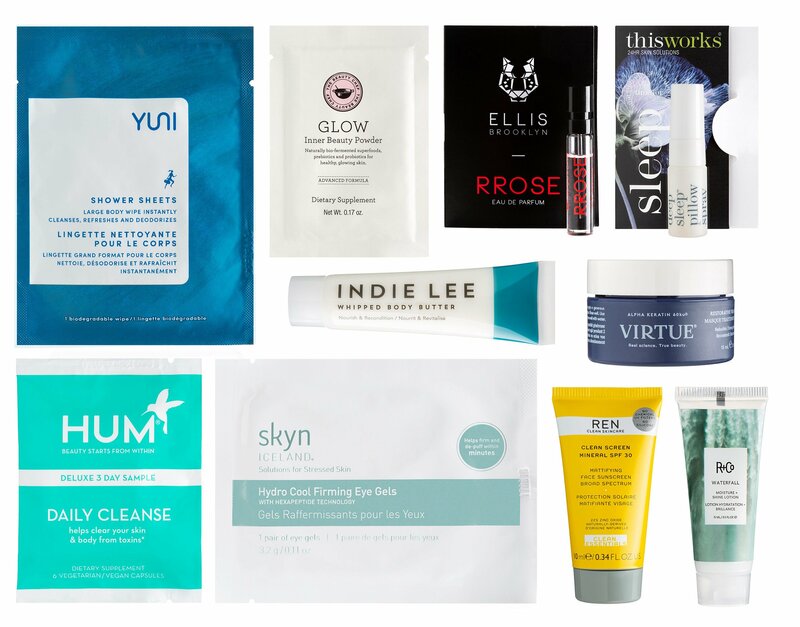 SkinStore (NEW) get a FREE Beauty Bag, pictured above worth $90, when you spend $100 use code BDAYVIP. (1d) Enjoy 25% off enter code: IMBACK. (1d) SkinCeuticals Private Sale – Discover the powers of clinical formulas with SkinCeuticals. Shop with 20% using code: SKINCFAN. Bluemercury Receive free 3 deluxe gift on any $100 purchase use cdoe KIT1 – KIT5. SURPRISE! Cos Bar Spring into Beauty Gift Bag 2018 has extended! Receive the gift below on any $175 purchase worth $250!